General objective of this report is to analysis Successful implementation of training and development strategies at AIRTEL. Report also focus on finding the ideal method of effectively implementing training and development strategies and developing an efficient evaluation model to assess the impacts of the applied tactics. finally draw SWOT analysis and suggest recommendation to improve Training and Development Strategies. Bangladesh is a developing country of southern Asia. Mobile phone is becoming a very common measure of communication in our country. The number of mobile user is increasing day by day. It is a very attractive market for the mobile connection providers. Presently there are five companies in the market. Each of them is trying to maintain and increase their market share. Among them AIRTEL is one of the leading company in this sector. AIRTEL [TMIB] is a joint venture organization with A. K. Khan & Company and Telekom Malaysia Berhad and A. K. Khan Group, which is a leading telecommunication provider, operating its business in Bangladesh since 15 November 1997. AIRTEL stands for ‘clearly ahead’. The philosophy of dynamism, never stop thinking & never compromise with quality made AIRTEL one of the most progressive & dynamic business leader in the country. AIRTEL believes in using advanced technology to cope with the changing world. Motivation & service is the its major strength. It started in 1997 with the establishment of a Telecom company & now after 8 years AIRTEL is one of the leaders in Telecom industry. AIRTEL constructed its state of the art service facility with high tech machinery from different countries. AIRTEL’s main strength is their call charge with Tk. 0.33/pulse (10 sec. / pulse) for Pre Paid and Tk. 0.066/pulse (1 sec. / pulse) for Post Paid subscriber from the first minute. They provide the widest coverage in the country. They also provide some other facilities among which off-peak hour system, and lower call charge and SIM price is popular to the subscribers. AIRTEL believes in People —Connectivity—Infinity. Broad objective: Successful implementation of training and development strategies at AIRTEL. AIRTEL is the dynamic and leading end-to-end countrywide GSM mobile communication solutions of TM International (Bangladesh) Limited. It is a joint venture company between Telekom Malaysia Berhad and A. K. Khan & Co. It operates as a Limited Liability Company, where the majority shareholder, Telekom Malaysia, own 70% shares, while minority shares of 30% are owned by A. K. Khan & Co. Bangladesh Limited. TMIB was established in the year 1996 and services were launched in 1997 under the brand name AIRTEL. AIRTEL is proud to be a part of the Telekom Malaysia Group (TM), Malaysia’s number one provider of information communication technologies. TM International has operations and financial interests in seven countries, namely Sri Lanka, Bangladesh, Thailand, Cambodia, Malawi, Guinea and Ghana. TM is financially strong, and internationally renowned for its successful ventures like MTN, the market leader in the telecommunication industry in Sri Lanka. TM has a global presence in 11 countries with staff strength of 30,000 Group wide. TM has recently made two major acquisitions in India and Indonesia in the continuous effort to stamp its presence internationally. TM has acquired 27.3 per cent interest of PT Excelcomindo Pratama, the third largest mobile operator in Indonesia, and in India, 47.7 per cent stake in Idea Cellular. TM hopes to further extend its regional and global presence with these new acquisitions. Since the commencement of its operation, AIRTEL has been a force to be reckoned with in the telecommunication industry of Bangladesh, being one of the fastest growing mobile communication companies offering comprehensive GSM mobile solutions to more than a million subscribers. Always placing the needs of the customers first, AIRTEL has been distinctly ahead in offering the “30 Seconds Pulse” from the first minute of talk time. Today, AIRTEL boast the widest International Roaming service in the market connecting 315 operators across 170 countries. In addition, AIRTEL is the first mobile operator to connect Tetulia and Teknaf, the northern and southern most points of Bangladesh. AIRTEL was also the first to provide seamless coverage along the Dhaka-Chittagong highway. With a network covering all 61 (allowable) districts of Bangladesh, coupled with the first Intelligent Network (IN) Prepaid Platform in the country, AIRTEL is geared to provide a wide range of products and services to customers all over Bangladesh. At the heart of all of AIRTEL’s success today, is a young dynamic workforce comprising of over 900 highly motivated and skilled professionals. Today, AIRTEL is recognized as a leading brand in Bangladesh and this is driven by their persistent pursuit of quality and technology, putting it ‘clearly ahead’ of the rest. The future with AIRTEL is promised to be exciting as they strive to employ the best resources and latest technology in offering many more innovative and exciting products and services. To provide total customer satisfaction as the company strives to become the most preferred GSM cellular service provider in Bangladesh. AIRTEL will achieve this through developing people, products, and services of the highest quality and meeting the needs of its employees, shareholders and the nation. Providing cellular services through very competent and skilled human resources comprised of 1033 employees with a notable reputation and goodwill in line with the Vision, Mission and Theme of AIRTEL. Risk management, e.g., training about sexual harassment, diversity training. To plan developmental strategies accordingly. AIRTEL applies a training model, in which training is primarily and effectively delivered to employees by their respective supervisors, Managers or above, and other divisions, on a dynamic, ongoing-need basis. To keep pace with the rapidly changing and expanding and highly competitive telecom sector of Bangladesh, AIRTEL strives to establish a perpetual learning and teaching organization for its employees. This will more effectively promote dynamic, need-based skills development and subsequently monitor performance improvements. Ongoing skills development will therefore enhance organizational speed, efficiency, productivity, business adaptability and ultimately result in growth. AIRTEL firmly believes that effective training occurs when employees take active responsibility for their own skills development, as opposed to the traditional passive participation and low prioritization. Moreover, supervisors are held responsible for planning and providing the appropriate resources for employee skills development, vis-à-vis skill assessment, training, coaching, mentoring and monitoring. Both the employee and his supervisor are mutually responsible for ensuring effective skill development and subsequent performance improvement. Employee’s skill development through training will be a primary factor in performance appraisal, promotion, salary increases and many more aspects. AIRTEL’s goal is to reverse the existing training model of heavily outsourced training, and instead develop internal training as the centerpiece of its employee skills development strategy. External Training as opposed to internal training is those provided by vendors who are engaged by AIRTEL to provide relevant training on a need basis. HR Division of AIRTEL primarily offers following three types of training. For most of the technical development, on-the-job training is considered. If any identified technical training cannot be conducted while on job, the training need is forwarded to the division head for his / her attention. The division head co-ordinates with the HR division to seek training from outside source. For managerial or people skills training, the division head requests the HR division for the specific training; the HR division identifies if the training can be provided by the resources inside, or else seeks training from other training organizations. AIRTEL offers different course sessions where the expert instructors provide knowledge on various management or technical subjects like team development, leadership skills, GSM technology, etc. In AIRTEL, each new employee undergo a comprehensive induction training program, which includes information about the organization, its structure, products / services, policies and the various functions executed by each division or department. It includes visits to the different customer care centres, visits to other divisions and discussions with people in other divisions if it helps the new executive to have a better understanding of his own role. Employees joining Customer Care will receive extended Orientation Training upon joining AIRTEL, to gain more in-depth knowledge of and exposure to particular division functions, which relate directly to their job in customer relationship management. AIRTEL regularly offers internships or work attachments to university graduates or students so that the students gain practical work experience in their academic disciplines and sometimes also to support a division’s operational work. This hands-on exposure and training to AIRTEL’s work environment also serves as a testing ground for interns to demonstrate their performance and prove their capability to join AIRTEL in the future. It also serves as a wellspring of fresh ideas, energy, creativity and perspectives to invigorate AIRTEL’s productivity and growth. AIRTEL always welcomes scholar interns and provides all kinds of facilities like the other world class reputed organization. The HR division follows some set guidelines to select a person for the internship program. The division gives preference to the candidate’s academic result(s) as well as graduating institute. After selecting, an internee is attached in a particular division / area by the HR division for a certain time period depending on both internee’s requirement and division’s interest. At the end of this internship period, the internee has to submit a project report on a selected topic of that particular area to the HR division based on his or her gathered knowledge throughout the time. The entire training process can be loosely divided into three sub-divisions. What we have covered so far is the foundation aspects of training at AIRTEL. The next phase is the process of Training Need Identification. Other than that, training need at the higher-level post of AIRTEL may come through the fact that an executive is the future top-level management of the company. The person who shows excellent capabilities at his work does not necessarily automatically become a good manager when promoted. The newly promoted supervisor is likely to find himself concerned for the first time with identifying and solving problems involving decision-making. He has to motivate and manage mental models of the staff. This requires leadership skills, which must be developed. He must be able to assess the training needs of his subordinates and carry out on the job training when necessary. AIRTEL utilizes mainly internal instructors as the training resource for the in-house courses. The immediate supervisor identifies training need during regular One on One meeting conversation. If the training need can be fulfilled internally, then In-house Training is conducted and if the identified area cannot be improved internally, the Division head takes initiative in collaboration with OD to send for External Training for the concerned person. AIRTEL aims to develop expert instructors within the organization in near future for in-house training. For the external training courses, instructors are allocated by the training organizations. Source training vendors, assess their competence. In case of external vendors, a mock training session is sometimes instigated to evaluate whether the training is applicable to AIRTEL. In case of internal training, the OD team may collaborate with the trainer to develop the training module and decide on the best method of delivery. To maintain detailed records of training classes and of each participant of AIRTEL, a Training database is maintained. The OD unit is responsible to update data on time, and develop or modify the database as and when required. As we know, Management Development is future oriented and concerned with education, skills building, or assisting a person to become a better performer. Thus, AIRTEL’s Organizational Development activities attempt to install sound reasoning processes to enhance one’s ability to understand and interpret knowledge. As it is a new process it will be going through a continuous improvement path. AIRTEL believes that successful managers have analytical, human, conceptual and specialized skills. They are able to think and understand the environment. Training peers cannot overcome a manager’s or potential executive’s inability to understand cause and effect relationships, to synthesize from experience to visualize relationships, or to think logically. As a result, it is suggested that management development be predominantly an education process rather than a training process. Here education will be judged by its contribution to performance where performance is a function of skills, abilities, motivation and the opportunity to perform and the development of some other special skills like good listening skills and the ability to read, analyze and classify types of employee behavior. AIRTEL, in keeping up with the latest trend, have embraced many developmental strategies and also started their application in the organization. However, they are still a long way from achieving that totally synergistic and highly efficient workforce, where every employee willingly takes the responsibility of his / her development and also, in the spirit of teamwork, helps his / her team members. Finally, individual plans should be reviewed at least annually. This is an attempt to offer some time frame for periodic review, so as not to make the task too time–con­suming. Furthermore, a lot can happen in twelve months, so that this time span is not too soon for considering new situations that might warrant changing or updating the plan. Many practicing managers indicate a twelve-month time frame as a practical one, especially when the development plan is discussed in the context of the annual performance evaluation. 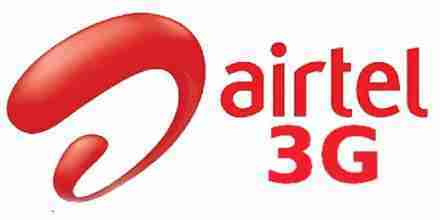 In order to reach the business objective of the company, AIRTEL is having corporate culture. For this reason, individual divisions have their own objectives to maintain this. The divisional objectives are far different compared to each other, according to their nature of job and functional role. No doubt it is a great big teamwork, which makes the business objective happen. Considering AIRTEL’s success we can confidently say that we have such a winning team to be proud of.